While cash offers well over a million dollars for fixer-uppers in Bed-Stuy are being rejected these days, people still hound us for turnkey houses in some of Brooklyn's most sought-after neighborhoods for under $1M. Go figure. 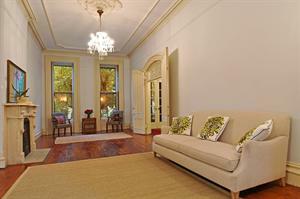 The former listing agent for 126 1/2 Washington Avenue told us the house had sold a few months ago. Turns out that must not be the case because the house is back out a few days ago for $999K. Now this wouldn't be the first time this lesser-known listing agent needed help moving an under-marketed listing. 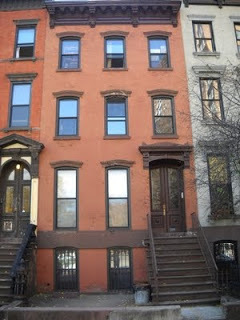 Corcoran took a house in Bed-Stuy off their hands that wouldn't move for months at $1.1M until they stepped in. Now Fillmore appears poised to do the same thing, but at an even higher price point than they were originally asking. 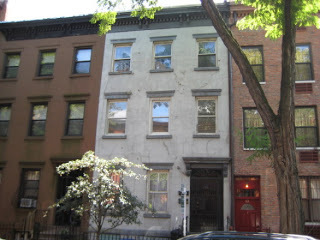 This house is located on the north edge of Clinton Hill, just off of bustling Myrtle Avenue, near Pratt, near Fort Greene. It's deceptively well-located, but it ain't too cheap these days either. 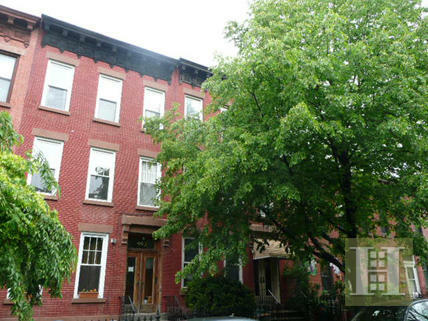 Corcoran wants over $1.3M for a similar 3-story house next door at 128 Washington Avenue. We were told that 126 1/2 Washington Avenue had sold for $825K, so that was obviously a do-able price for the seller recently, but who knows where their head is at now? They say, "It's better to be lucky than good," - and they're right. Even if you don't know what the heck you're doing, you can luck into a better situation than those who tried to deliberately plan it all along. Such is the case with lots of low-ball buyers who never bought a house during the 2006-2008 boom, then suddenly in 2009-2010, their low-ball offers stuck and they lucked into great houses. Many still didn't know what the heck they were doing, mind you, but suddenly fate swung their way and they get to look like geniuses in retrospect. As is the case with sellers over the same time period. Some tried to sell after the crash in 2008-2010 for prices that simply weren't tenable in that market. Those who held out for irrational figures then are actually seeing the pendulum swing back their way now, but out of no brilliance of their own. More stubbornness, really. Because they still don't know what the heck they're doing. 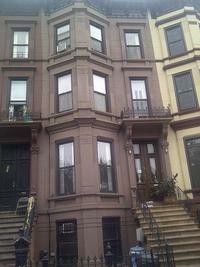 Take the turnkey 3-Family brownstone in Fort Greene at 308 Clermont Avenue, for instance. 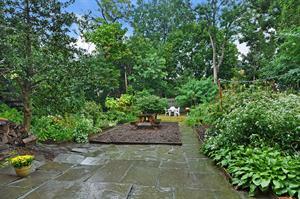 We covered this bad-boy back in July of 2010 when it wanted $1.694M. Back then, for that price, you could pick up way more prime pieces. And people hadn't woken up to Fort Greene or Clinton Hill entirely yet, and there were still plays to be made within the (gasp!) FHA loan limits. 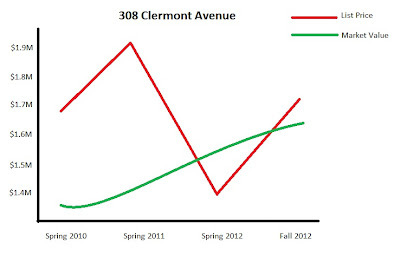 The price on 308 Clermont made no sense. It was a pre-crash price in a pre-rebound market. If you think that price was bad, you really didn't want it the next Spring of 2011 for $1.9M. 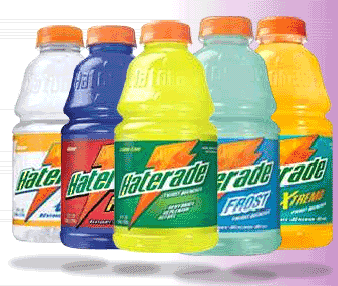 Again, tone deaf price with no rationale and a terrible marketing strategy. Flash forward to the Spring of 2012, and they come back out on the market for $1.39M, as a "short sale", listed nowhere besides the Long Island MLS (of all places!). 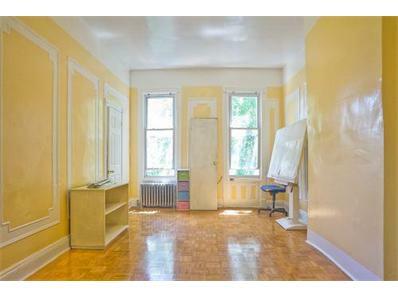 This is our fractured Brooklyn real estate market, people! That's right, the market did a 180 degree turn and this guy thinks it's suddenly time to sell for ~$300K less than his post-crash price and list in a place where no one can find his listing? They list it as a "short sale" even though the asking price is hundreds of thousands above what he owes the bank?? The owner's obviously flailing, trying to make sense of this market. 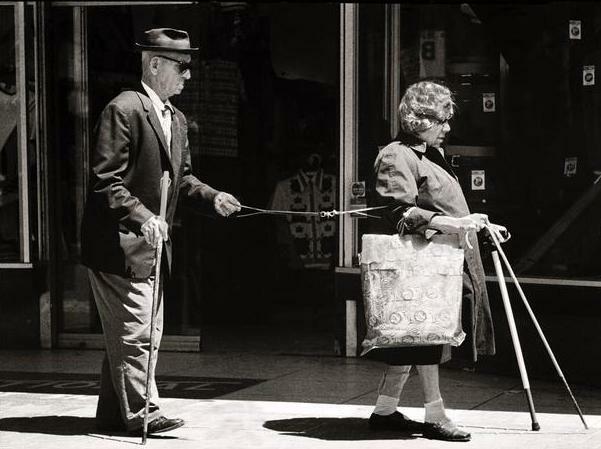 And to say that the involvement of his real estate agent was "the blind leading the blind" would be generous. As soon as we saw that a little reality might've set-in and that the place was mis-priced again (this time in the buyer's favor), we put the bat signal out for Platinum Members who pounced on the house on its first weekend. The offers poured in from $1.2M financed one week, then $1.25M cash the next week, to $1.32M financed the following week, finally to the full asking price of $1.39M. As one reader put it, "He wakes up every morning and his house is worth another $50,000." And to this owner's "credit", it would've been irrational to stop the music at any point and take one of those low offers when all he has to do is wait another week for a higher offer. Yes, this owner is clearly falling, but in this market he's fallen up the stairs. The motivation to sell in the first place was his inability to pay the mortgage. The bank put a lien on his property in 2009 for $1.1M. Many will remember when the economy was sliding off the cliff back then, banks were taking multi-billion dollar write-downs each quarter for bad loans, some even willing to negotiate with owners struggling to make their payments. We'd heard this owner was even given the chance to settle his outstanding balance for a lower sum back then, somewhere in the $800K's. Mind you, he refused to take the offer at the time, but these days we hear he wants to have his cake and eat it too. He wants to sell his house for more than it's worth, and pay the bank back less than he owes. That's simply not how it works. He could've taken that deal on the table then, but that deal's not on the table now. If he sells, the bank ostensibly wants the full amount now. To hear them tell it, "This property may not be much on original details, but is in the heart of the Dekalb Restaurant Row and at this price could be considered a bargain." 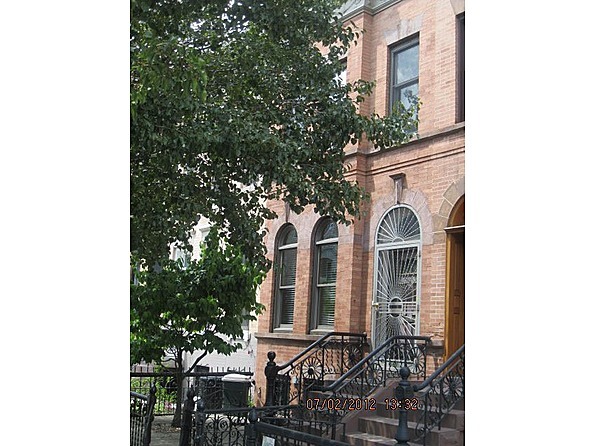 Someone will eventually snag this great brownstone on a great block, lodged between the Brooklyn Flea and the hipness of Dekalb Avenue. But how and at what price is anyone's guess. This morning we get an e-mail from a developer who says, "Bet you this is gone in two weeks," and sends us 14 Prospect Place. Yes, this shiny 4-story 2-Family in north Park Slope just off of 5th Avenue wants $2.5M mere weeks after a fixer-upper on the same street on a deeper lot just across Flatbush in Prospect Heights listed for $2.15M and is rumored to have bids pushing $2.5M itself. This coming from the same developer bragging to us this time last year that his condos well over a million in Park Slope didn't have to come any lower than 3% off their asking price to sell, while he's happy to offer other sellers 30% below their asking prices. Which is silly, because obviously everyone wants to get the most money for what they have. That's a two-way street. Yet, trust us, there are scores of folks running around offering 20-30% below asking price in this market and still thinking that's an actual bidding strategy. 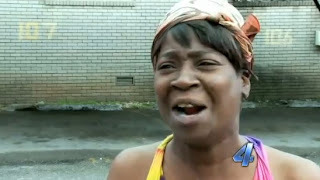 We believe "Sweet Brown" said it best when she said, "Ain't nobody got time for that." As we realized yesterday and Tweeted this morning, anyone can offer 20% off asking price, but the real savvy buyer is the one who can identify which properties are worth even 20% ABOVE asking price and bid accordingly. People with many millions in the bank swear they're shrewd investors 'cause they run around town with low-ball offers waiting to see which ones come in. In this market - very few. Meanwhile, the real movers & shakers are getting great places at great prices. We'd love a picture of the yard too, since that's one of the other major selling points about going townhome over condo in this price range. But, regardless of your taste, an owner's duplex with a 2BR rental above makes financial sense over here for anyone with the funds to swing it. It doesn't get more clutch than a corner opportunity like 71 Irving Place for those who have the funds to swing it. This should've sold last year, but the contract fell through and Platinum Members had a 2nd chance at it this Spring. 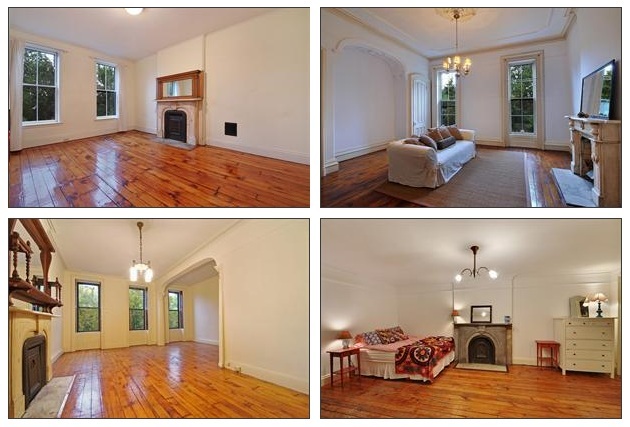 This is simply Clinton Hill at Bed-Stuy prices. Or, put another way, under $200/sqft in a neighborhood with "meh" condo comps around the corner above $500/sqft. No matter how you slice it, a great buy. If you have the money to pull this off, but can't wrap your head around this one, we can't help ya. It doesn't get more point-blank range than this. 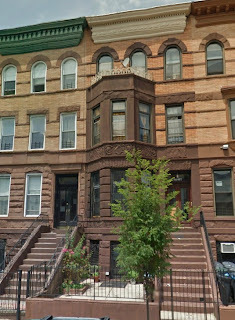 Another 3-Family fixer-upper "deep" in Bed-Stuy (by some accounts) goes in a flash over asking price. 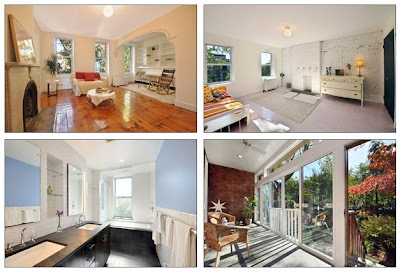 581 Greene Avenue closes for $760K this month. We heard the contract price was even higher but the appraisal came in a little low. Oh, don't worry... the comps are coming. Even with fancy-pants developers tripping over themselves to make cash offers due to the seemingly-prime location, a lot of hair on the deal made 466 State Street fall to $695K at the end of last year. Seems like someone picked it up, dusted it off, and flipped it for $850K last month. Not the most impressive flip, guys, especially given what people are doing in Bed-Stuy on the regular. The same broker who scoffed at the view this Clinton Hill home has of the projects, also stuffs his face with bacon, egg, & cheese from Choice two doors down on the regular. 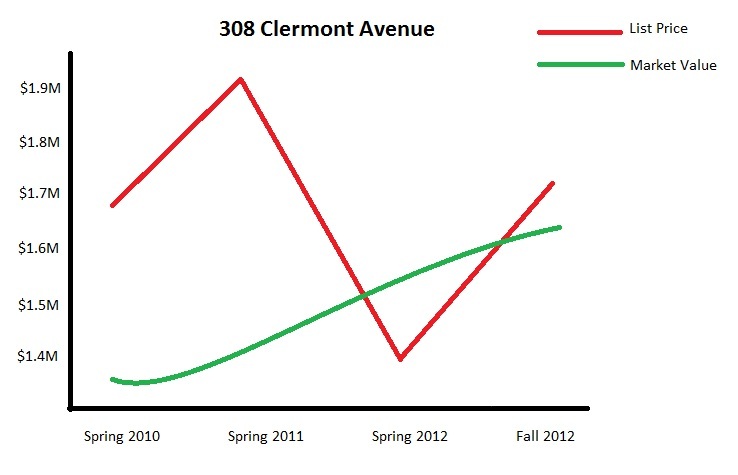 310 Lafayette Avenue was dying to be picked up at a premium above its post-crash price. And this latest closing price of $1.15M this month is a steal if it's actually arm's length. Many hated on the dated interior, but others saw a chance to finally get their Unicorn on! 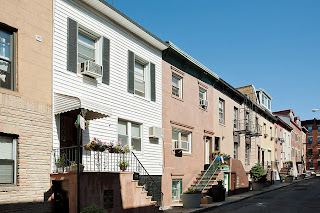 465 11th Street in south Slope fell all the way from $1.72M in the Spring to close for $1.5M this month. 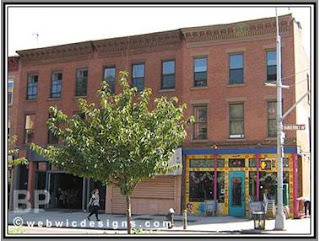 Step right up and get your Boerum Hill shell at 270 Dean Street - which closed for $1.55M last month. Brownstoner asked if the $2.995M list price for 778 Carroll Street was right, and the market spoke. It closed for $3.05M this month. Makes this neighbor who'd do $2.85M look like a steal. 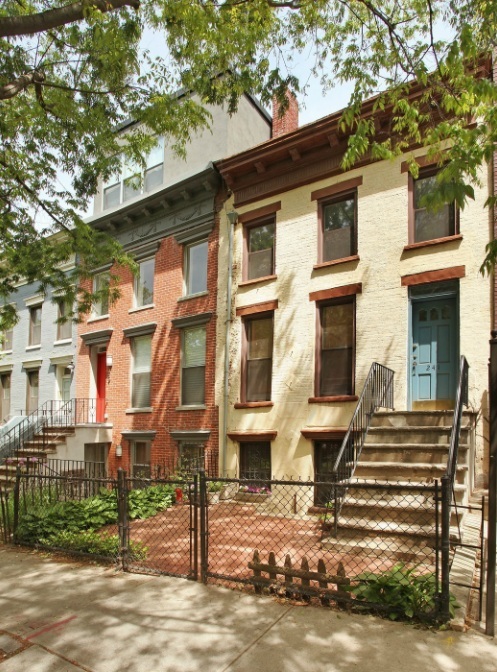 Continue to doubt & misunderstand Brooklyn if you must, but a corner 3-Family at 299 Clinton Street in Cobble Hill fetches $100K above its asking price of $3.6M last month. 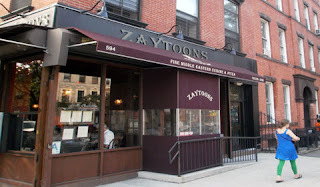 Still a screaming value over what this would cost in the West Village, people. And - no surprise - that's where these buyers are coming from. Listed at only 20' x 36' with a "price [that] looks high on a per-square-foot basis" according to Brownstoner - you do the math. 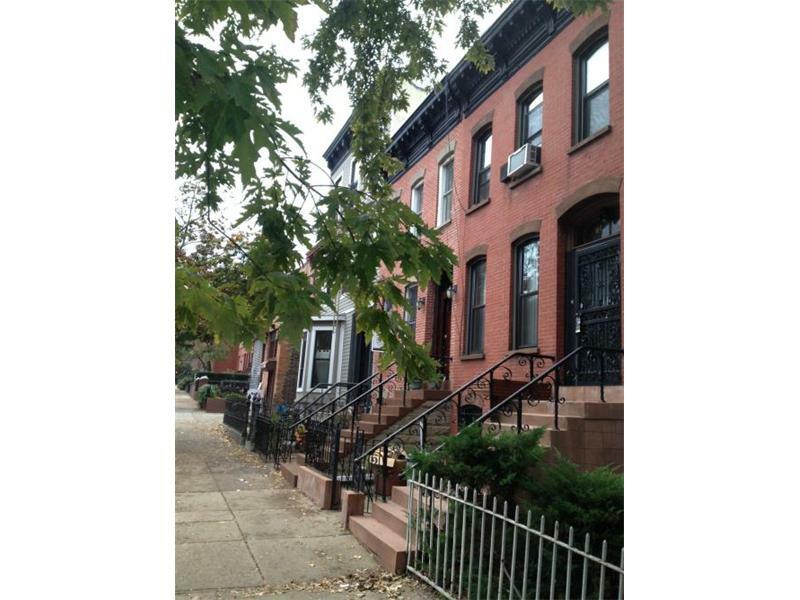 The Crown Heights single-family with original details and modern upgrades at 661 St. Johns Place sells for $775K. 680 St. Marks Avenue was a Crown Heights beauty chopped into six 1BR's over an owner's 2BR garden apartment. Sick detail on a great block at a 7% cap rate?? Yes, please! Closed for $845K last month. Some people insist they "won't go past Bedford" in Crown Heights. Well, good luck cornering yourself into just 2 avenues width of a neighborhood that sprawls out beautifully for blocks and blocks east. A gorgeous 3-Family at 1461 Pacific Street closed for $740K last month. 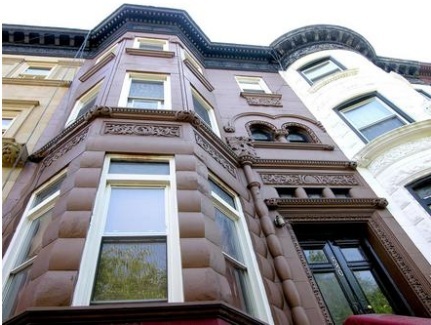 How do you get to Park Slope for under $1.5M without getting a gut or an SRO? Apparently you go to Windsor Terrace on the other side of the highway for a nice 3-Family like 22 Seeley Street that closed for $1.2M last month. If you don't think Bed-Stuy is the next shoe to drop, check out the inflows of capital. 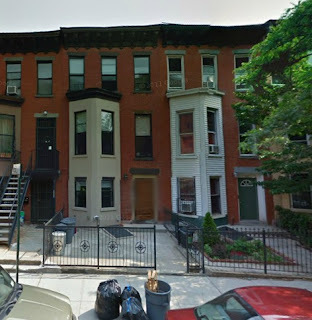 Long after folks were picking up the estate sale 11,000 sqft 8-Family in Clinton Hill at 234 St. James Place for $1.6M, now a 13,000 sqft 8-family at 92 Decatur Street in Bed-Stuy fetches $1.665M. In a few years, maybe it will dawn on people what a great pick-up this is. 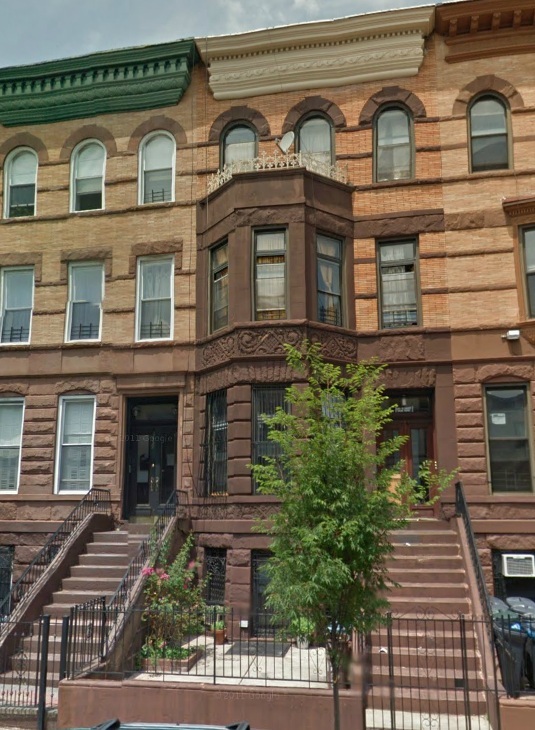 We've told ya for the longest that Park Slope isn't the only place where townhomes go for $2M+. 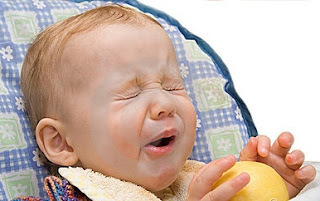 It happens all over Fort Greene, Boerum Hill, Cobble Hill, and - gulp! 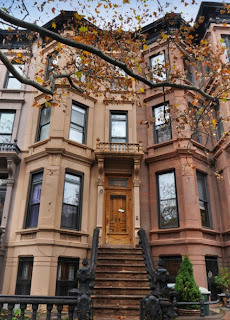 - even Clinton Hill. It takes more than a picture of a tree to sell a building for $2M. 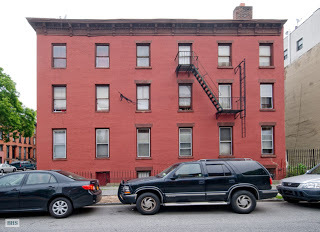 So luckily, in exchange for the 6-figure commission Corcoran's charging here at 213 Prospect Place, they shelled out a few hundred dollars for fancy pics that speak more volumes than this lackluster exterior pic they could've (read: "should've") simply taken from another angle. Just 9 pics for over $90K in commission? Throw in the tenth pic for free, guys! Then again, let's be honest. With shells that have no interior pics, need a gut renovation, and have adversarial rent controlled tenants entrenched in them around the corner from this house in contract for a net cost of $2M, you really don't need to do much to move a property in Prospect Heights these days. There is almost zero product and teams of cash buyers. Interior pics are really just a formality. 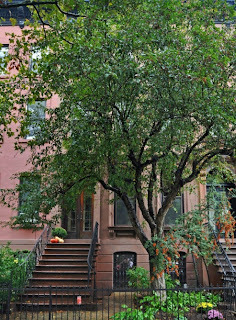 As 22 Sterling Place learned, simply put that thing on the market and step out of the way. "But that was in Park Slope!" - we can hear 'em yelling. Ah, but don't you know? North Slope and the heart of Prospect Heights are separated by a few hundred yards, and Prospect Heights has the better school district. 22 Sterling Place was also a mere 3-stories tall, which caused some confusion this Spring for some buyers. When the four-story 159 Underhill in Prospect Heights came out for $1.79M, some thought it seemed like a completely different market from 416 Park Place for $1.5M just a few months earlier. Once you factor in that we're talking about 4 stories vs. 3, you realize that 30% more house for less than 20% more money ain't a bad proposition at all. 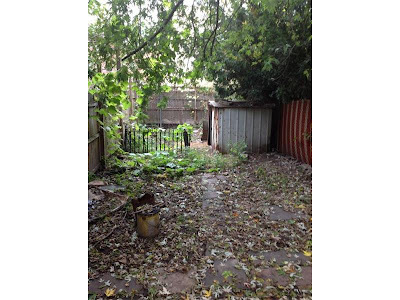 The extra deep yard also gets you more buildable square feet, something a client of Cousin John's is taking advantage of on this very block as we speak. Besides the shiny pics, there's work to be done yet in this house and enough bids to throw price flexibility out the window. They're using it as a single-family, but it wouldn't be hard to make a 2. 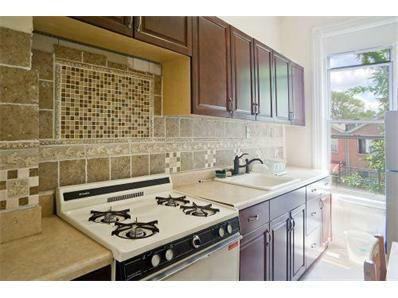 Then again, when you're buying a fixer-upper for over $2M, who needs rental income? Compared to what else is going on around us, don't be surprised to see this poke past asking price. 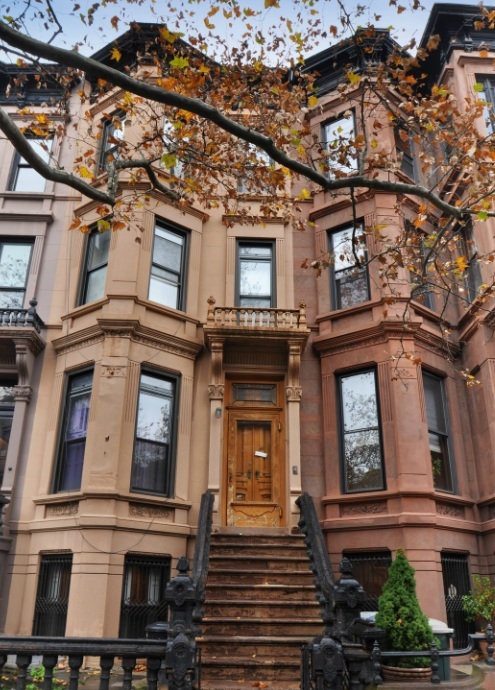 As one broker told us in a gut-reno estate sale in Bed-Stuy, "3 people will say $900K, and one of them will get tired of looking and say $950K." The pricepoint is more than double just 2 miles west of that same house, but it gives you a sense of the mechanics that drive a sale like 213 Prospect Place. Ideally: go hard or go home, 'cause while Corcoran may not give you a quality shot of the exterior, they sure know how to say "best & final" to their multiple bidders until the very last drop is squeezed out of a deal. But far be it from Brooklyn drivers to think any sign that stands in their way applies to them. Stand at this intersection for just a few minutes and you'll see a steady stream of drivers ignoring the sign, driving right past it, only to learn it's true, and humbly turn right back around and be on their way via another route. It's emblematic to us of an aspect of human nature that manages to amplify itself to 11 when you're dealing with certain Brooklyn types. Even though it's a mathematical impossibility, most people think they are above-average. It's a well-documented effect in psychology called "illusory superiority". 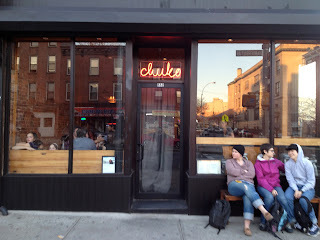 People scoffing at the often 30-40 minute wait at Prospect Heights' yummy ramen spot Chuko need to realize it takes that long 'cause everyone else wants to get some too. It's a rant we've been on before. 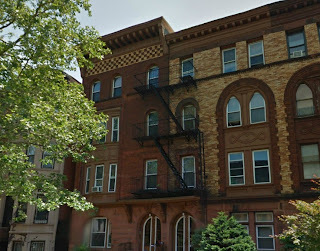 Yesterday a reader sent us this article called "Fancy Liberal Brooklyn Is Full of Hypocrites" which surrounds the pushback many upscale neighborhoods are giving to the prospect of having a homeless shelter come to their community - particularly in Carroll Gardens. Yes, Brownstoner points out an article that shows the seeming contradictions in a $12M sale in Brooklyn Heights and the fact that Brooklyn has more poor people than the entire downtown population of Detroit. Homeless shelters must go somewhere, but apparently liberalism is all fun & games until it comes knocking on your $2M brownstone off Smith Street. 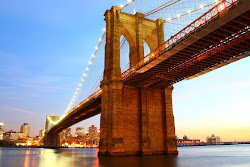 Yes, this is our Brooklyn. Amazing buildings that you know & love have free market rentals above $3,000/month and rent stabilized tenants paying under $300/month for the identical apartment in the same building. Drake says, "We walk the same path, but got on different shoes. / Live in the same building, but we got different views." 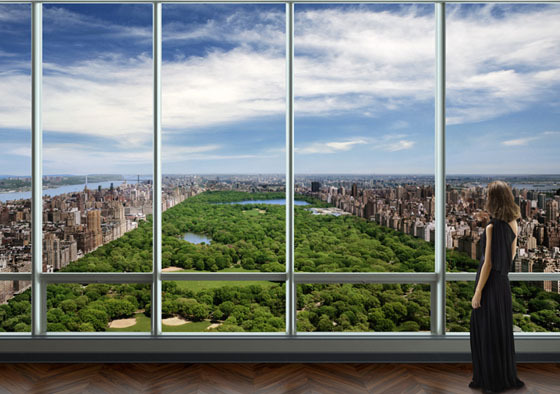 Billionaires buying $90M+ penthouse apartments with Central Park views in Manhattan benefit from "affordable housing" tax breaks saving them over $200K/year in taxes while the "average" family of four in the country barely lives on $50K/year. Who better to pay NYC hundreds of thousands in real estate taxes but international billionaires? Can't hate the player, though, gotta hate the game. 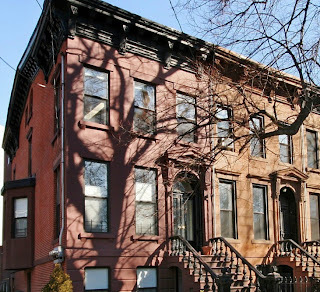 1142 Dean Street in Crown Heights is a historic castle as 2-Family houses go. And it's also one of the best buys of the year at under $950K. But the homeless shelter around the corner at the Bedford-Atlantic Armory proved too unsavory for some buyers. We heard of other millionaires who weren't deterred but offered in the mere $800K's and missed a great chance to get the place. However, it didn't stop huge developers and Goldman Sachs investment groups from going in on 1000 Dean Street with Brownstoner for $30M large. The same developers more than happy to sell you a condo for well over a million dollars in Brooklyn won't pay nearly that much less than a mile & a half away for an entire 4-story building on a corner with windows on 4 sides (2 blocks from a townhome that sold for $2.5M). Or they simply won't touch it at all, regardless of price. Turns out that wanting to get the most money possible for what you have - unlike Washington Avenue at Atlantic Avenue - is a two-way street. Sure, it's across the street from the projects, but that didn't stop 433 Dekalb Avenue from repositioning itself to suit the Pratt area or rocking out a killer commercial upgrade from a laundromat to one of Brooklyn's yummiest destinations, Umi Nom. Very few had the vision to see that one coming a mere 4 years ago. 960 Myrtle Avenue isn't quite our main stomping grounds, but we're hesitant to sleep on any investments just out of our comfort range after seeing the boom going on in other neighborhoods that were very recently considered off the beaten path. 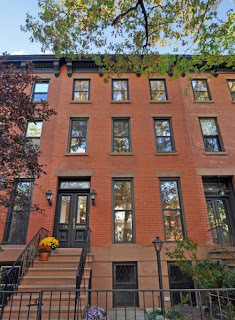 Sure, maybe it took a year, but the SRO on a great block in north Park Slope at 135 St. Johns Place closed in August for $1.12M. 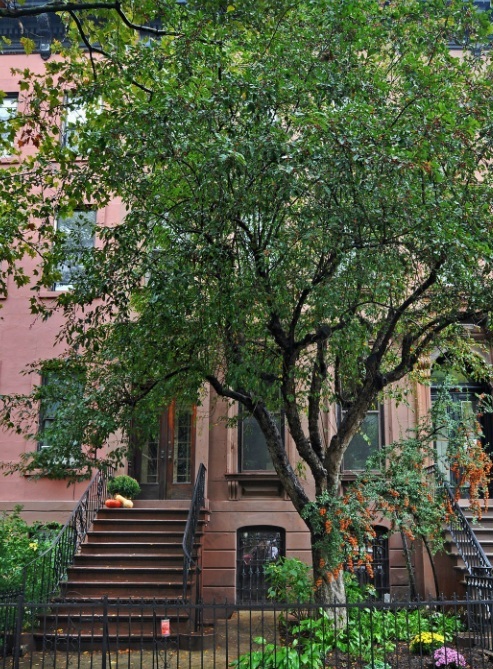 We told ya that Park Slope won't be had under $1.5M without some major trade-off's. This 17' wide house will be a beauty once tenants make other arrangements and you can get a new C of O cookin'. Sure, it can take 6-8 months, like it did for another SRO neighbor on this block, but that's the same 8 months others wasted watching this market run up on them and all the other product even close to this price range disappear. 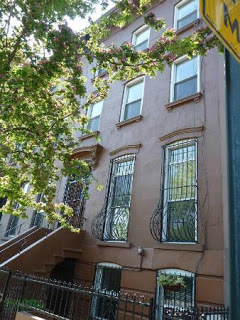 Would-be cash buyers who bid more than this for "a gut" at 27 Park Place were in 135 St. Johns Place at the same time last year, and could've had their work permit issued by now. 45 3rd Place gave $2.95M a try in August 2010 before the market rebounded, then again in August 2011. 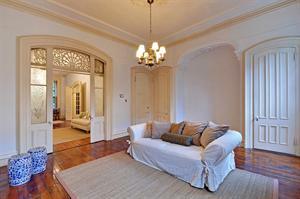 But by the time it dropped to $2.495M, it was in contract within a month, closing for $2.44M last month. 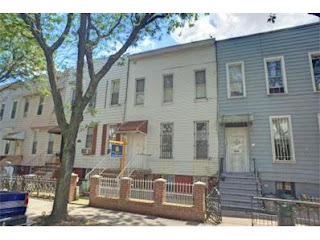 Only 16' wide, but on a corner lot with lots of yard, a full renovation with central AC, and a roof deck with harbor views... this is simply what it costs to ball in Carroll Gardens, people. 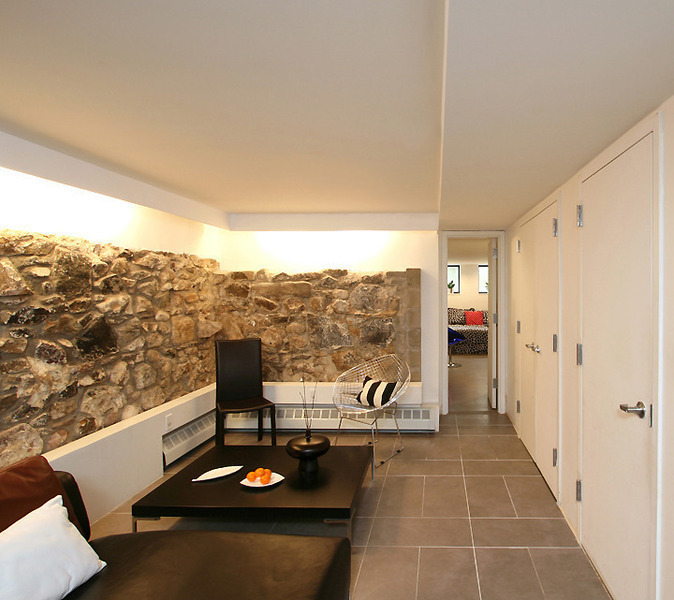 Hop in the two-car garage for quick & easy trips to Fairway, or to the nearby BQE for jaunts outside the city. 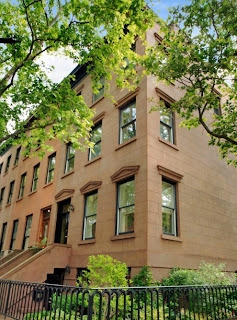 Of course if you think you're picking up a baller-brownstone for a millie in Carroll Gardens, think again. More like vinyl-siding and 80's ceramic tile, but still a value at 20 Dennett Place. Only 18' x 28' on a lot that's under 50' deep? 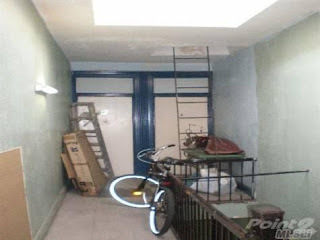 Well, it beats some condos still, okay? Yes, it's just off the Gowanus Canal, but it's also just off Court Street, and in the coveted PS 58. Asking $1.1M since last year, it dropped gradually to an asking price of $975K by the Spring, and closed last month for $880K. 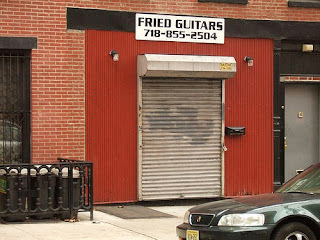 Cousin John said you literally couldn't give these away in Red Hook (as someone tried to do to him) in the 80's, but you sure can fetch a pretty penny for 'em now! Relative no-name brokers "Welcome Home Realty" couldn't get $1.499M for 395 14th Street in 2010 before the rebound, but Brown Harris sure got just $50K under the asking price of $1.875M in less than 6 weeks on the market this Spring. People expecting more than 17' wide for over $1.8M in South Slope between 7th & 8th Ave's still haven't found a place yet. If you insist on Park Slope and a low pricepoint, perhaps a tiny 18' x 30' fixer-upper by 4th Avenue for $975K is more your speed. 241 8th Street is listed at 1,400 square feet, wanted you to "bring your Contractor and Architect", and didn't want to even bother showing you the interior in pics. 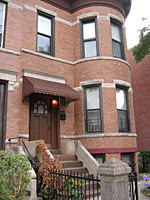 That didn't stop it from going in contract in under 6 weeks and closing last month just under its asking price of $995K. 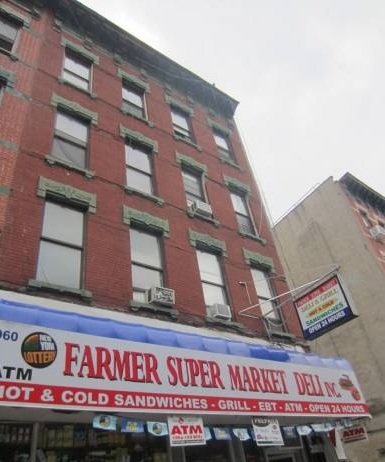 Sure, almost $1.9M - and even a price drop to $1.795M - were terrible prices for 449 Bergen Street back in 2009 after the crash, as Brownstoner was apt to point out. However, when Corcoran brought it back out for $1.695M last year, it became among the next-best buys in north Slope as the market took off, closing for $1.688M this month. Even at a funky 25' x 35' on a small lot and an odd little block, there was relative value to be had with central AC, a nice sliding glass door to the small backyard, and a balcony on the back above with wood planks. Over $2,000/month from the rental on this tiny floorplate? That just goes to show ya how bad people wanna be in that Slope. Makes 439 Bergen Street down the hill look like a steal. Speaking of tiny floorplates, you can get your carriage-house on in Boerum Hill at 516 State Street, on a quaint little block and an adorable little space. 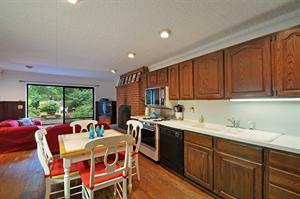 Just 20' x 25', listed for $875K, and closed for $885K in August? 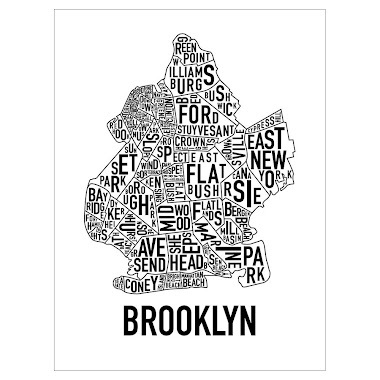 That's Brooklyn for ya! 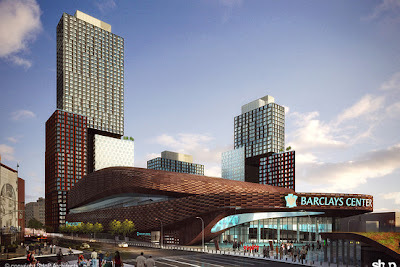 The Barclays Center is here and it ain't going anywhere. At his 8 consecutive concerts that kicked off the opening of the stadium, Jay-Z marveled to the crowds, "Can you believe someone spent a billion dollars in Brooklyn?" No matter how much Hater-ade you've been sipping about the stadium or Brooklyn at large, that kind of investment is a pretty telling sign. 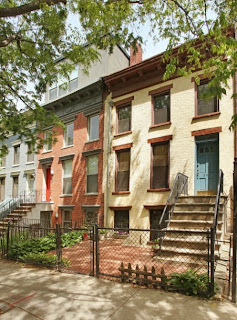 Heck, even in 2006 New York magazine was calling Prospect Heights "the forgotten neighborhood at the heart of Brooklyn's brownstone revival, quietly evolving from seventies poverty to small-scale gentrification... populated by...increasingly, come-lately familes priced out of Park Slope—is a battleground for the meaning of Brooklyn." This is nothing new. 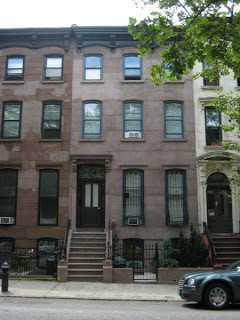 Some of the neighb's latest residents were still in Tribeca, the Upper West Side, and even Michigan back in 2006! Many residents used to commute from here to the Zaytoon's on Smith Street in Carroll Gardens, but now the Zaytoon's has come to them! Fast-forward through a messy legal dispute involving these adjacent buildings, and you get a listing at 599 Vanderbilt Avenue that's asking top dollar for some forward-looking potential. You can try calling the owner, as so many have, but with a $130 listing on the NYTimes from Brooklyn Properties, it looks like there may finally be a tad of motivation to actually sell this time around. But not at any pioneer pricing. You can't bet on the Brooklyn Nets game for the same price once the match has already started.